You'll be £6.00 closer to your next £10.00 credit when you purchase Tracing Your Nonconformist Ancestors. What's this? We all have Nonconformist ancestors. In the mid-nineteenth century almost half of the English population were Nonconformists. And there were very few villages where there was not at least one Nonconformist chapel. 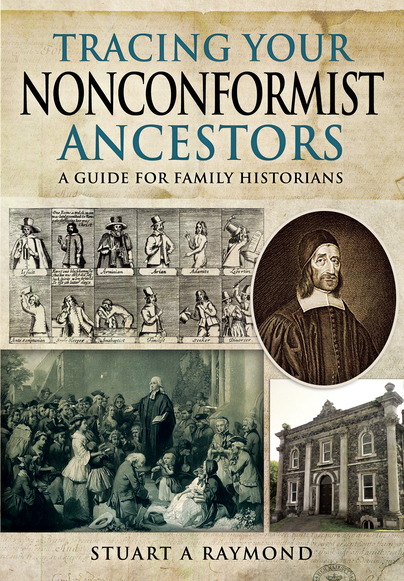 Local and family historians need to be aware of the diversity of Nonconformity, and of the many sources which will enable them to trace the activities of Nonconformist forebears. Stuart Raymond's handbook provides an overview of those sources. He identifies the numerous websites, libraries and archives that local and family historians need to consult. These are described in detail, their strengths and weaknesses are pointed out, and the contribution currently made by the internet is highlighted. Most Nonconformist denominations are discussed – not just the mainstream Presbyterians, Congregationalists, Quakers and Methodists, but also obscure sects such as the Muggletonians and Glasites, and even the two groups who regularly appear on our doorsteps today – Jehovah’s Witnesses and the Mormons. The religious activities of our Nonconformist ancestors tell us a great deal about them, and provide fascinating insights into their lives. A comprehensive reference work invaluable for anyone finding non-conformity in their family. It is useful for tracing the lives and activities, not only the congregations of these religious organisations but ministers too. This is an excellent guide to the subject. This is a wide-ranging book which covers the diversity of non-conformism from its mainstream denominations to some of the more obscure sects as well as the present day Mormons and Jehovah's Witnesses. Stuart Raymond has produced a book that will be standard starting point for anybody wishing to study the many nonconformist denominations and sects in the United Kingdom. The first chapters cover the history of nonconformity and sources of information. Then the remaining chapters provide a detailed history and lists of sources for individual churches. A later chapter covers many small sects with relatively few members. The lists contain a commentary giving some indication of what is held and for whom the information will be useful. This book is written with both family historians and local historians in mind. The commentary is most useful in pointing out the many sources and archives involved and their main subject. In the age of the internet this book will date, although not as seriously as in the past. The internet itself as become more stable as academic organisations use websites to advertise their presence. Raymond makes full use of internet links as sources. Expect to see this book available in local studies libraries. And being very useful to professionals specialising in nonconformist research. Many family historians hit a brick wall when it comes to Nonconformist ancestors so this is a welcome read for anyone struggling to take that next step in their research. These superb books provide much-needed extra information on where to look for details of your ancestors. Priceless. 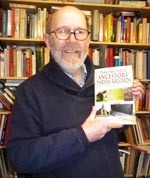 Stuart Raymond is a genealogical bibliographer, publisher and bookseller, an experienced family historian, and an expert on the history of wills and other probate records. He is also a prolific author of genealogical handbooks, web directories and library guides.